Welcome to the newly renovated TownePlace Suites Minneapolis West, located 3 blocks from the Shops at West End and area nightlife, 5 miles from downtown Minneapolis,16 miles from the Minneapolis/St. Paul International Airport. This long term stay hotel offers all suite accommodations. All suites feature complimentary high speed wireless internet, fully equipped kitchen, cookware and dishware for 4 guests. The living area features a sleeper sofa and work desk with ergonomic chair. This pet friendly hotel offers a 24-hour Market, 24 hour business center with high speed wireless internet, seasonal outdoor pool, and updated fitness center, 24-hour coin laundry facilities. 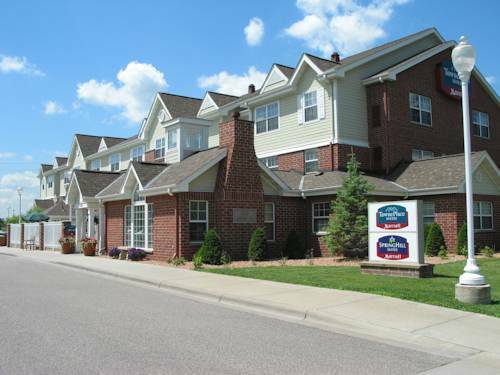 The TownePlace Suites - Minneapolis West offers a neighborhood-style living featuring comfortable suites for a great value perfect for long term stays. Interstate Management Company, LLC, a subsidiary of Interstate Hotels & Resorts, operates this Hotel under license from Marriott International, Inc. or one of its affiliates. ~37 miles from Saint Louis Park.